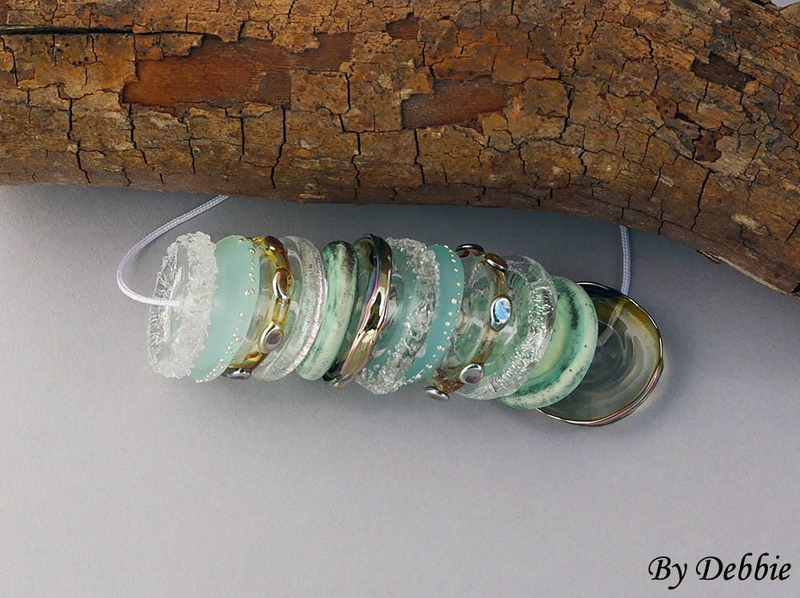 "Aqua Waters" A beautiful organic bead set of 12 extra large discs. Measurements are roughly 1" (25mm) in diameter for each disc. 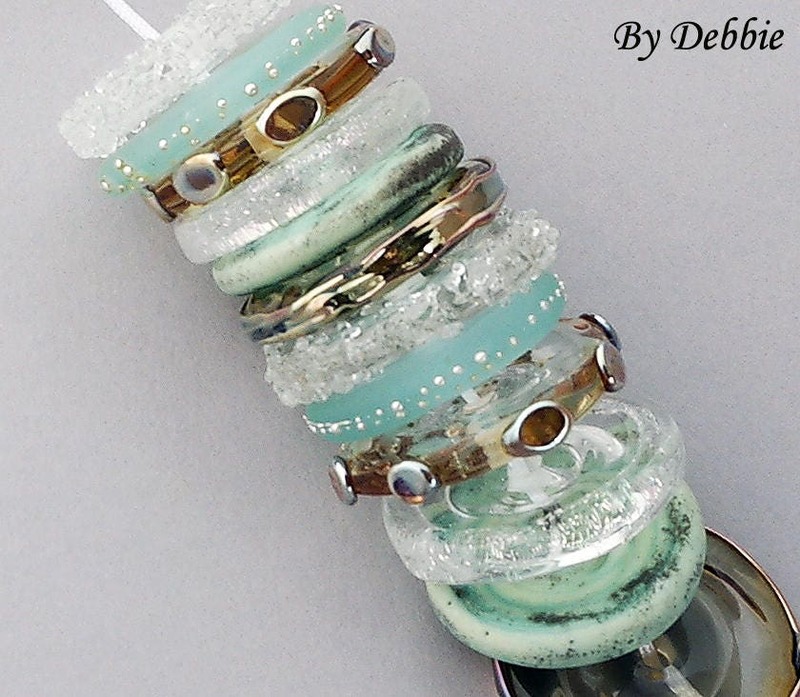 Length of the strand is just over 2" (51 mm) when strung next to each other. 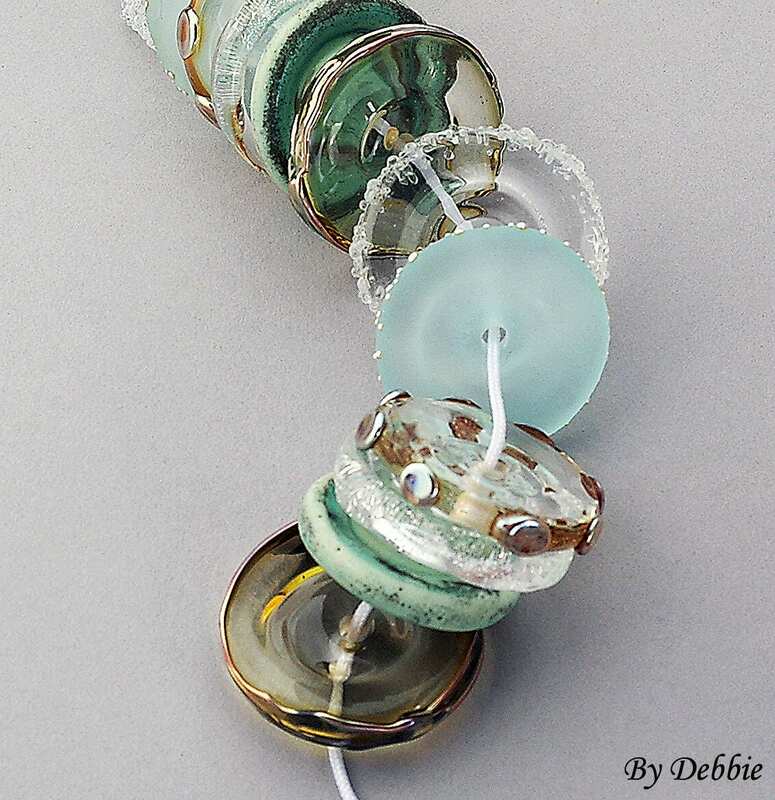 Accents include silver glass, pure silver wire and dichroic glass (sparkle glass). 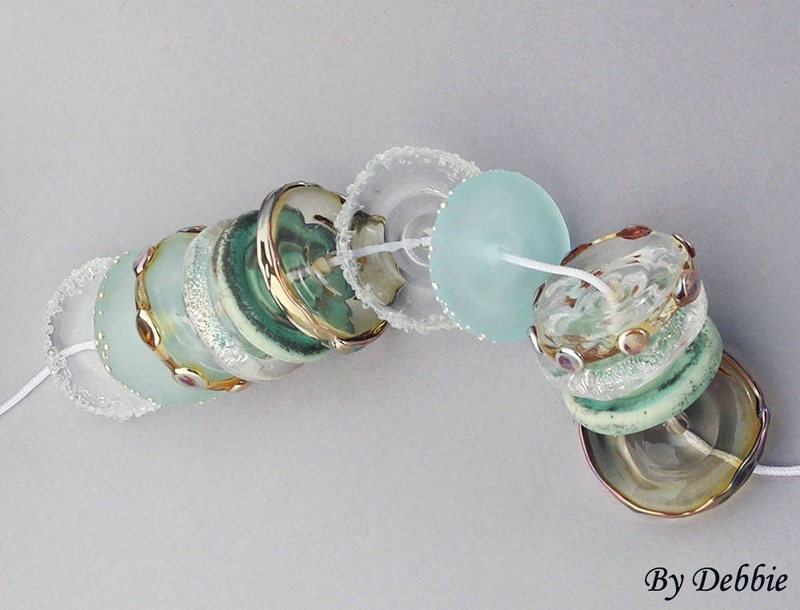 Each lampwork disc is carefully shaped in the flame one at a time. 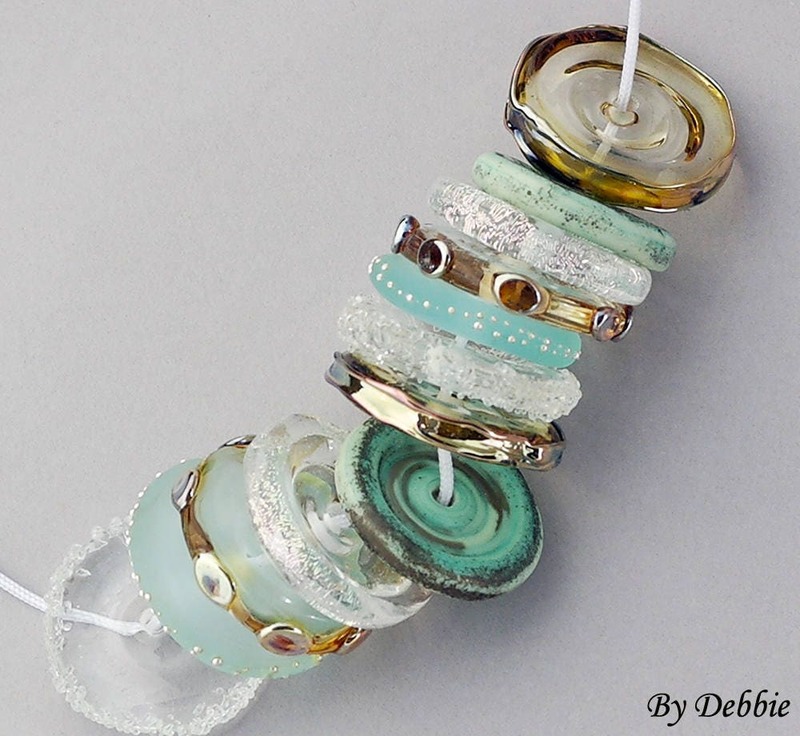 My lampwork beads are great for jewelry and craft projects. 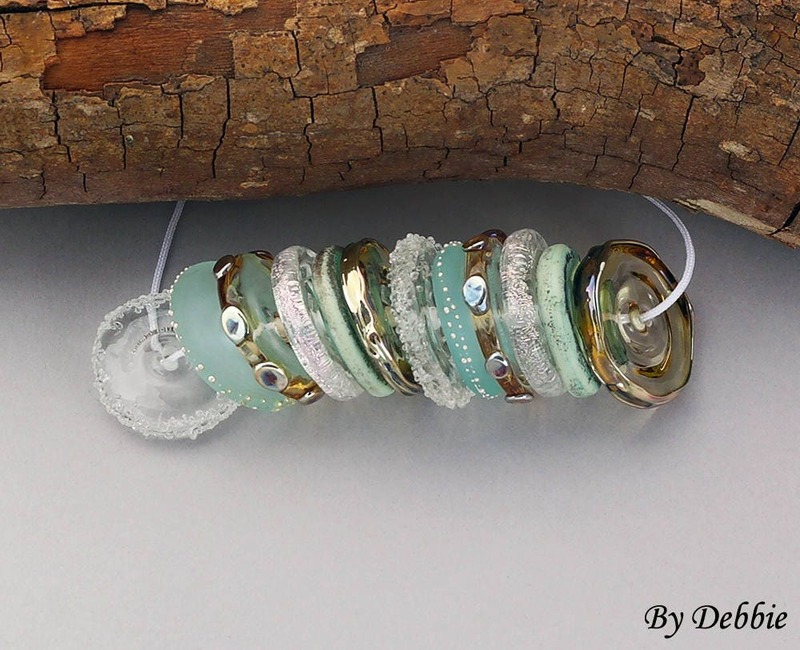 These would be wonderful for focals in necklaces!